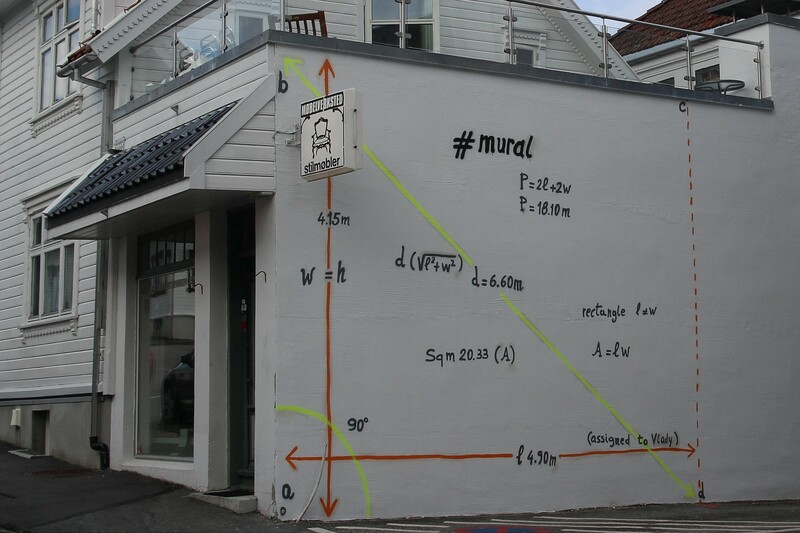 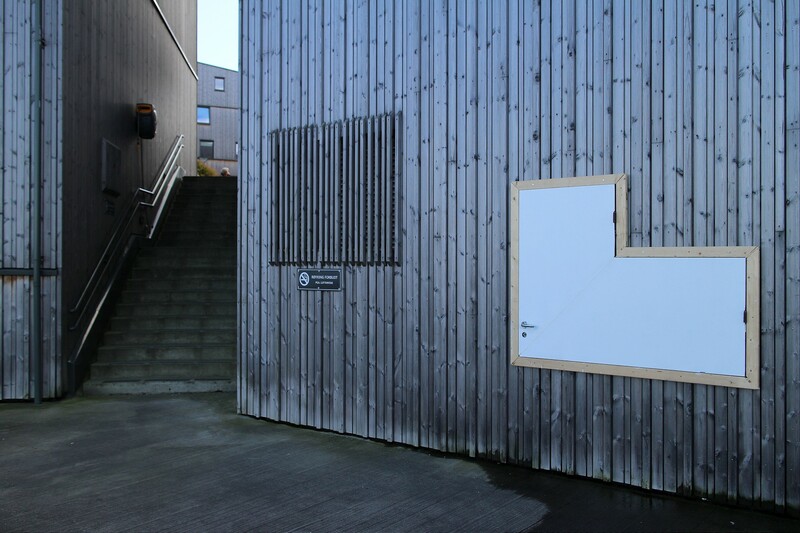 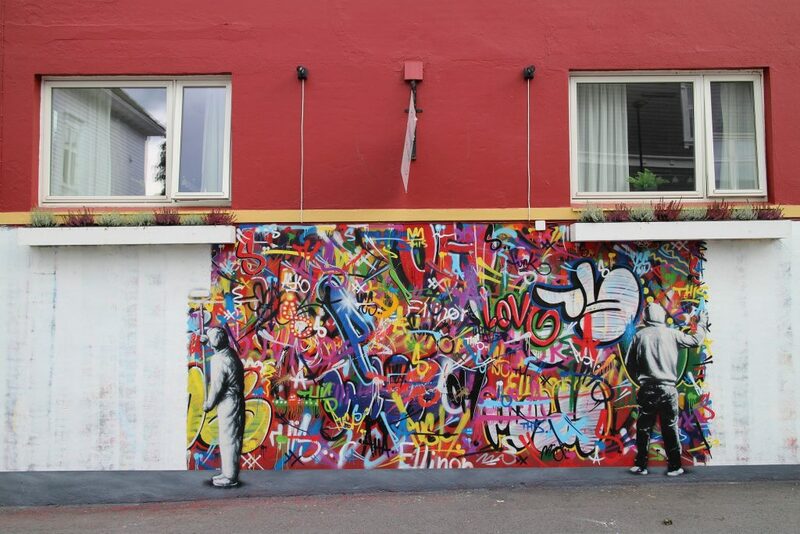 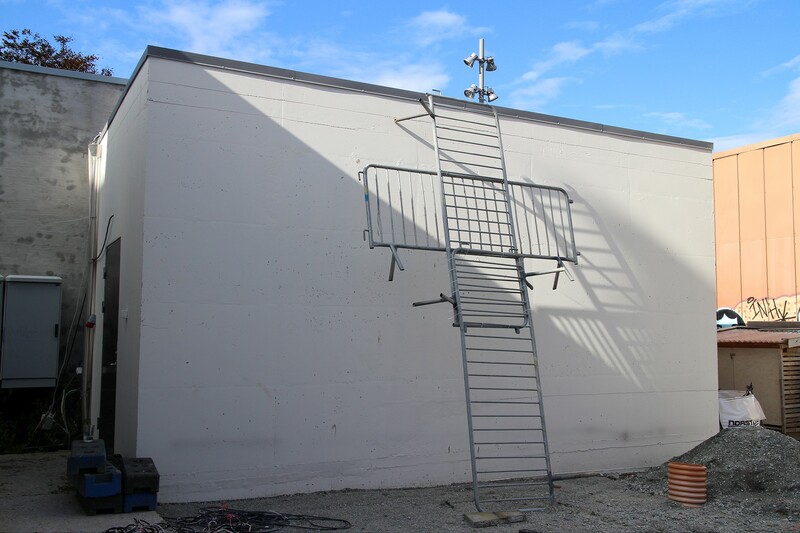 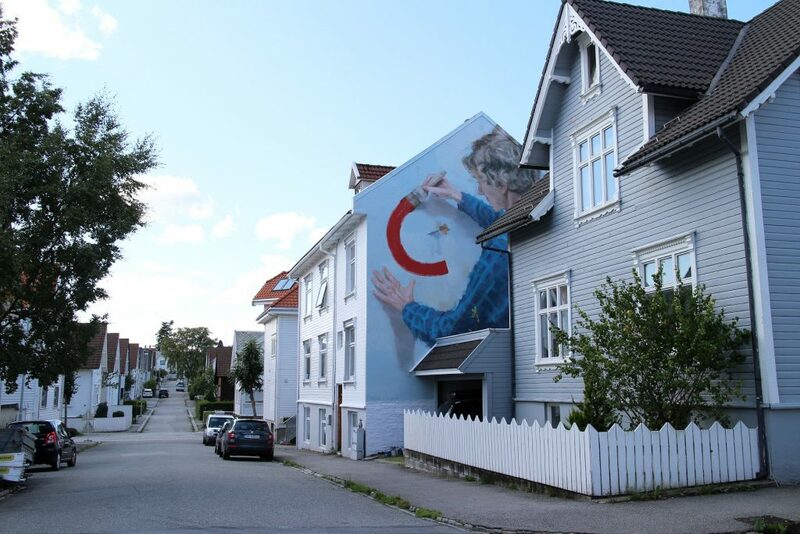 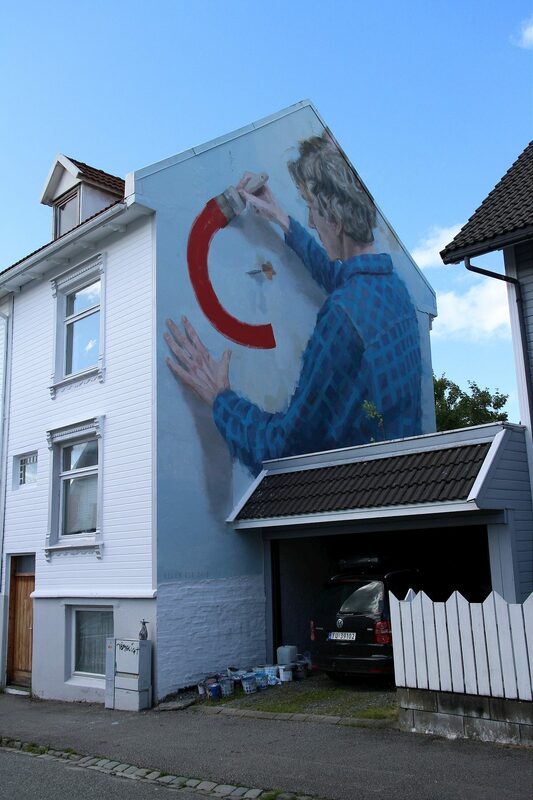 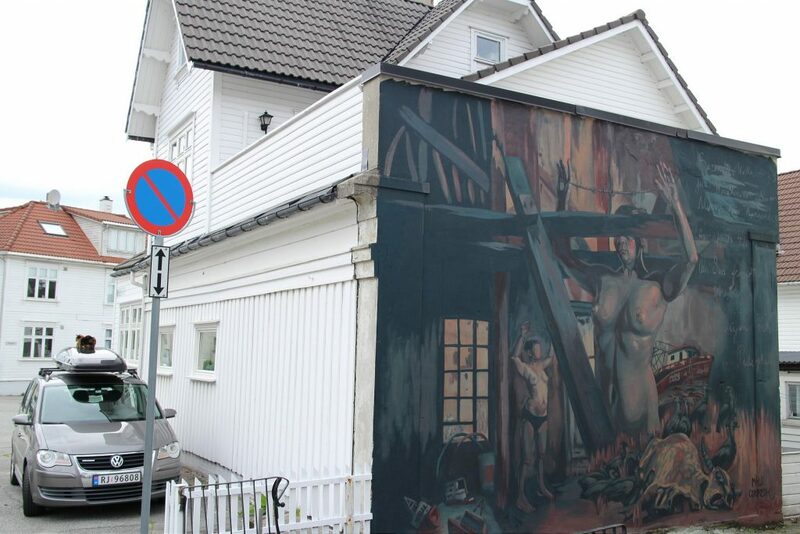 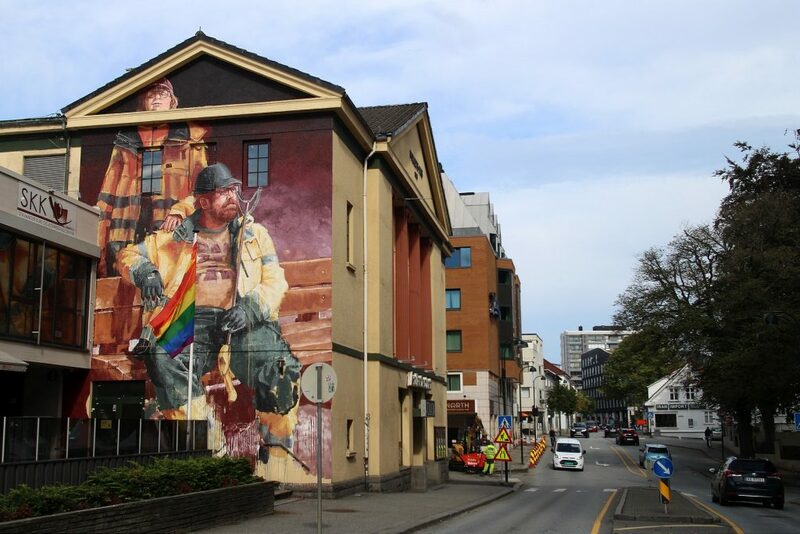 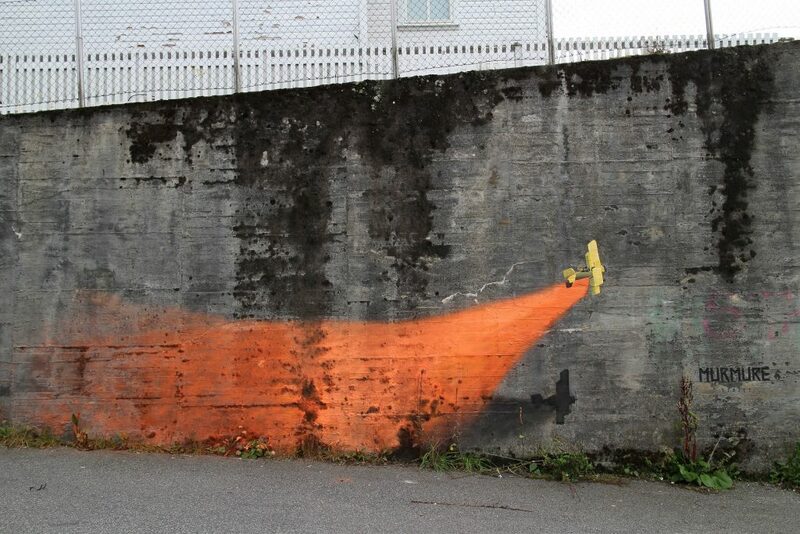 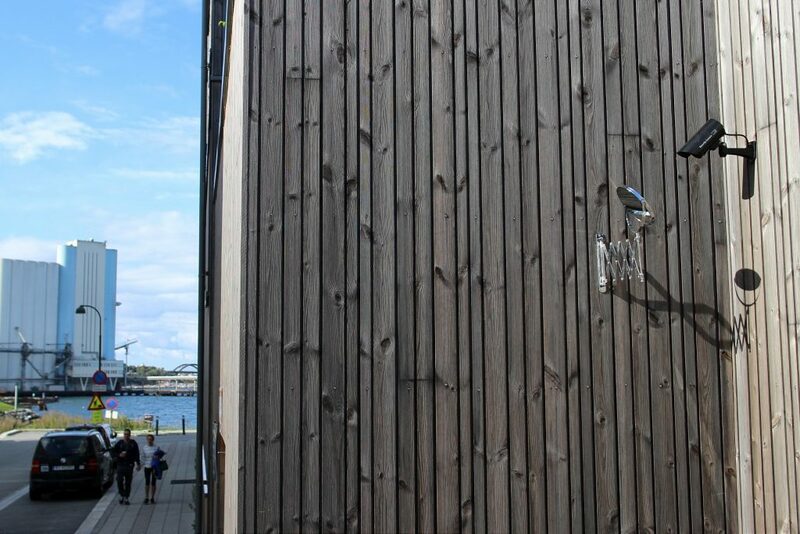 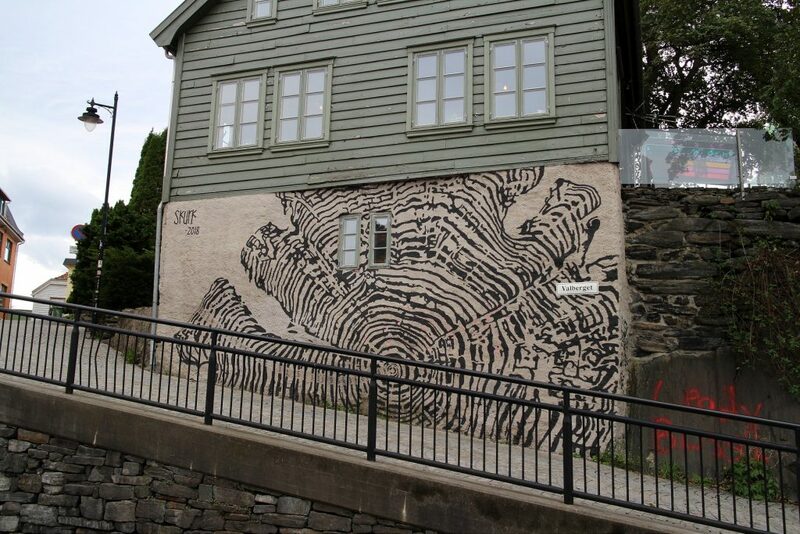 It seems that the phrase “less is more” just got a new meaning over in Stavanger, Norway, thanks to the people behind Nuart Festival. 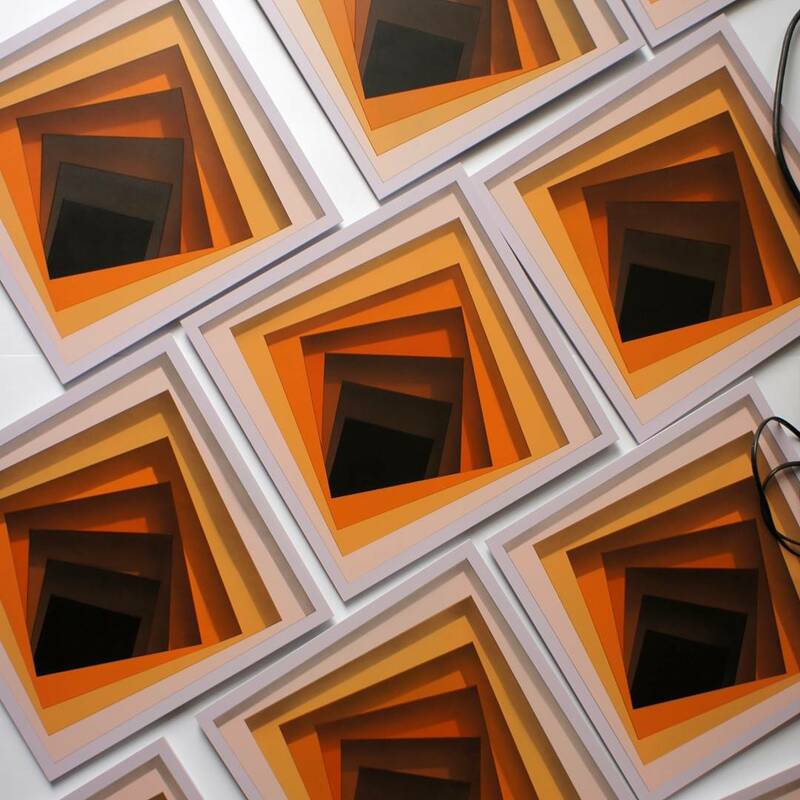 For their 18th edition, the festival had to deal with some serious funding cuttings, but instead of reducing the amount of work, they invite 2x more artists than ever and took over the city. 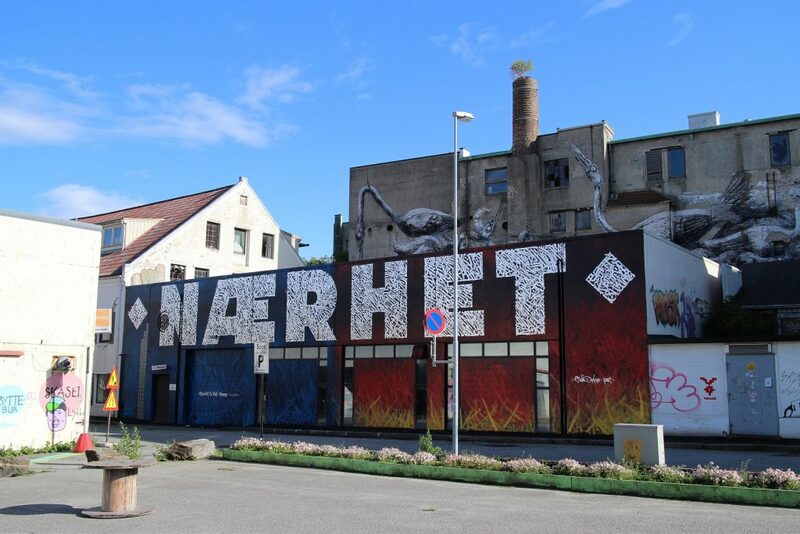 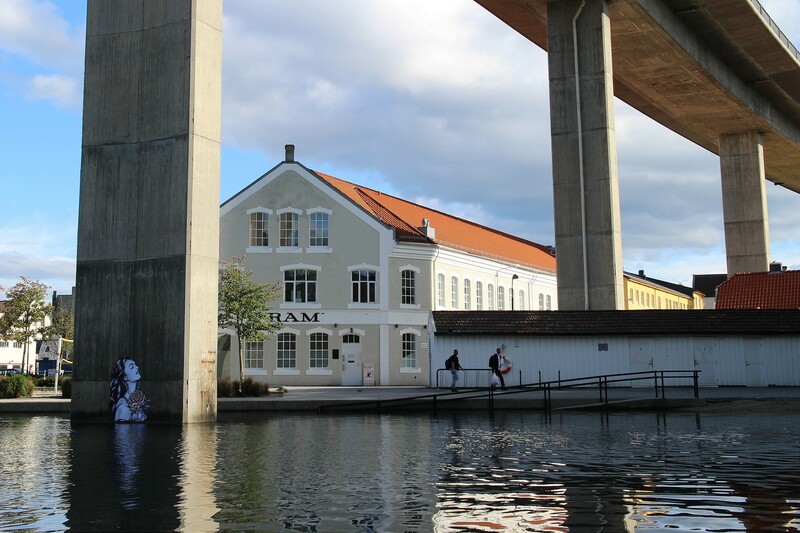 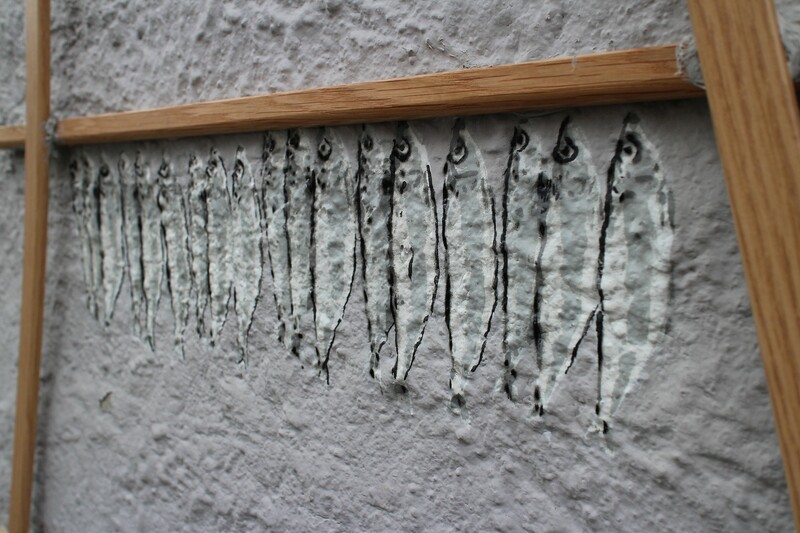 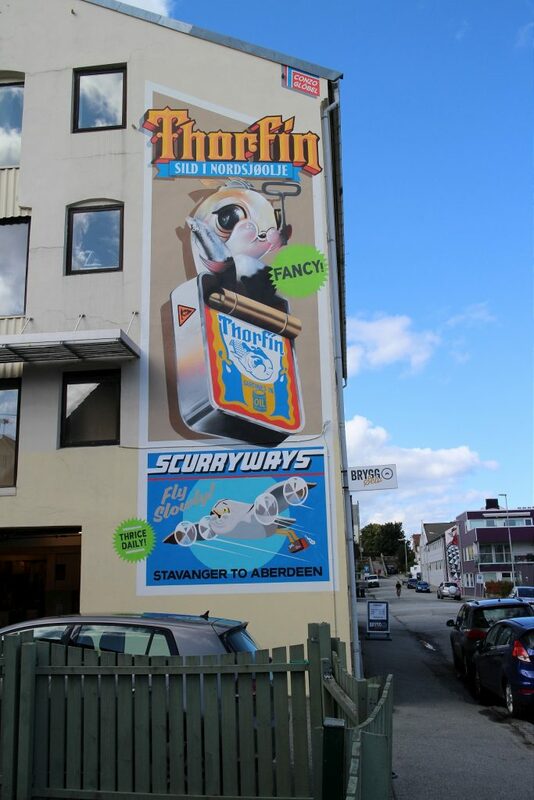 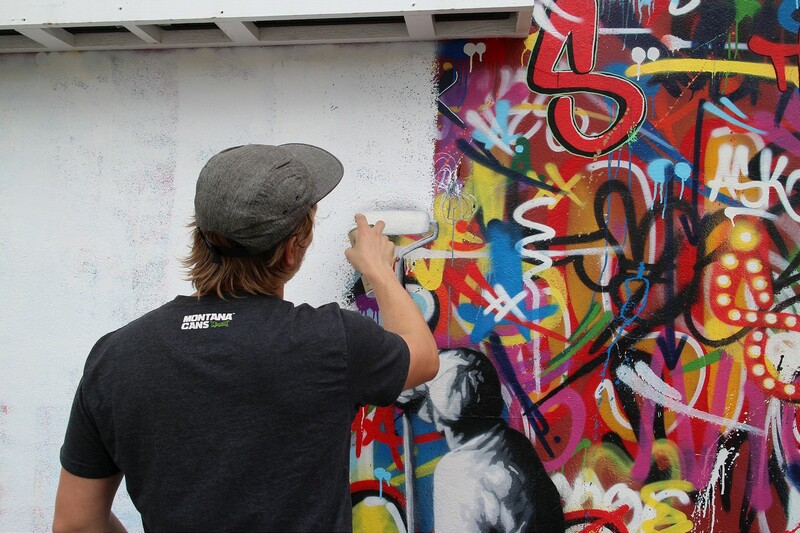 We’ve spent a couple of days in Stavanger last week, witnessing the creation of new works, along with attending panels, talks, and discussions that were taking place during always interesting Nuart Plus educational program. 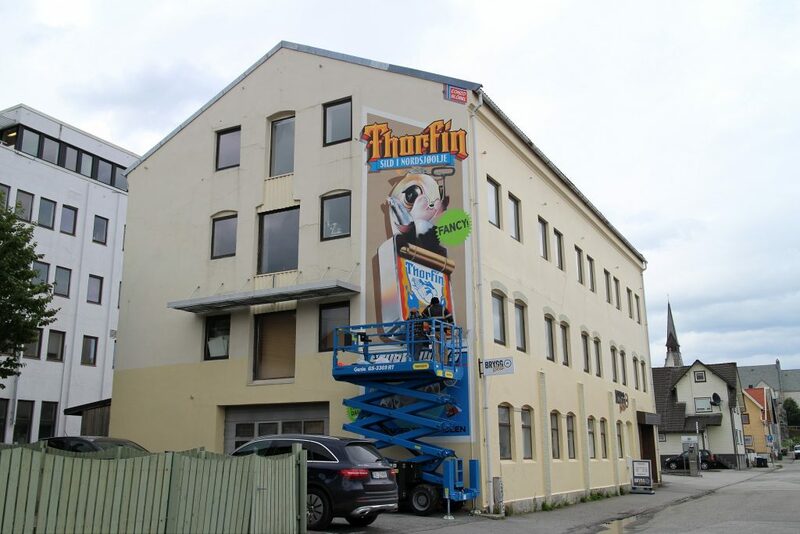 One thing that made the 18th edition of the festival different was the absence of their indoor show at the tunnels of Tou scene, which was always a signature part of this world-renowned event. 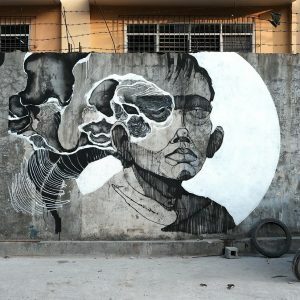 But to make up for that, the organizers invited 26 international artists and encouraged them to create as much work as they feel like, collaborate with each other, and step away from the beaten track. 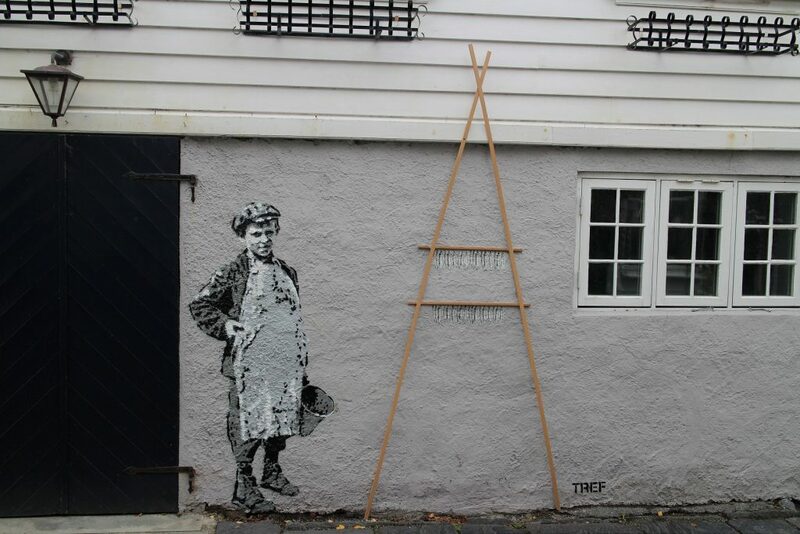 Putting the obvious accent on stencil artists, small interventions and modifications of public space, along with inviting a couple of heavy hitters from the world of contemporary muralism, this Nuart produced an impressive series of new works that are added to their permanent public collection. 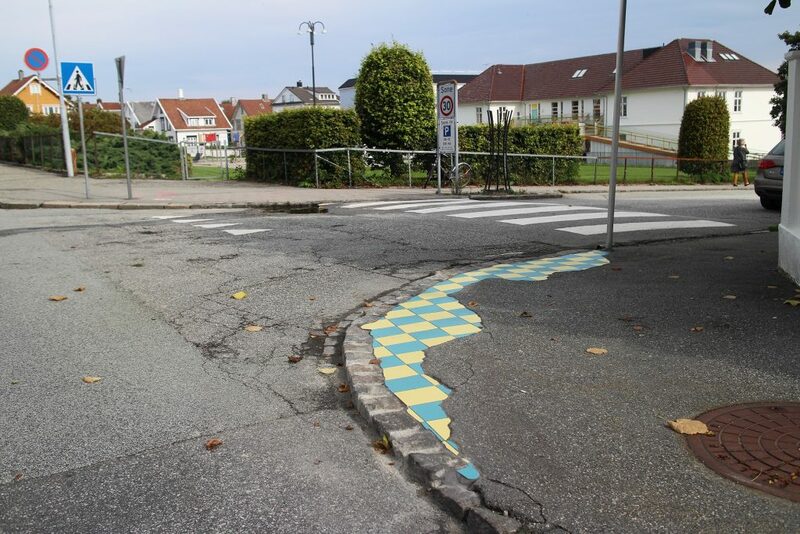 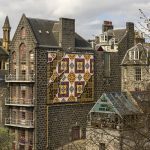 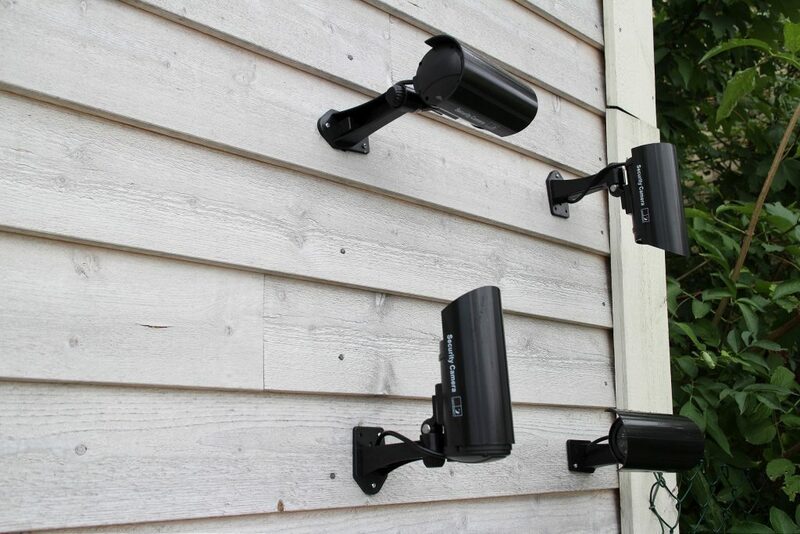 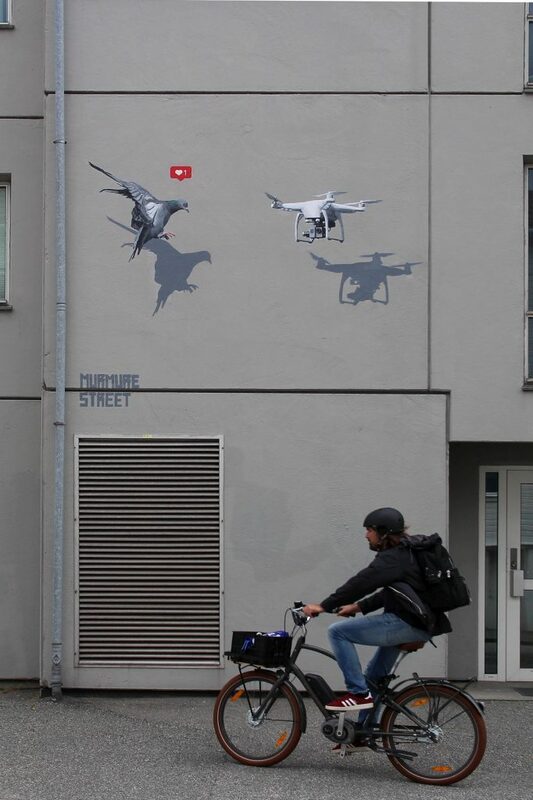 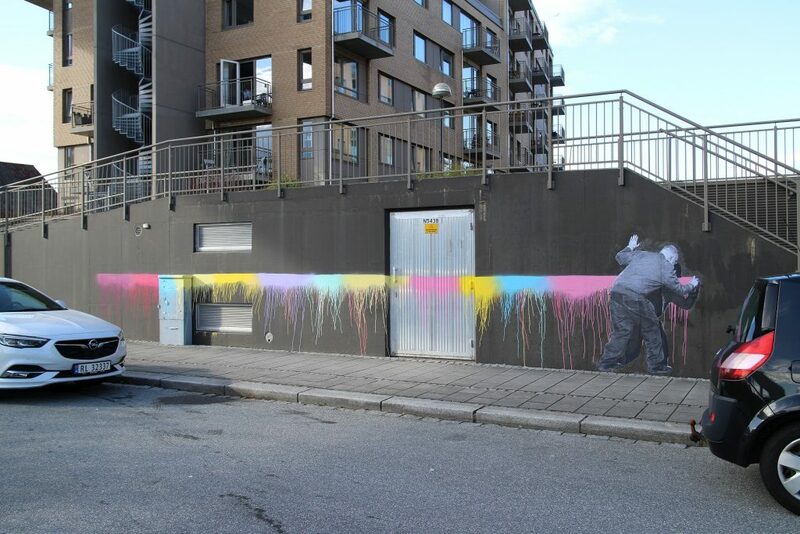 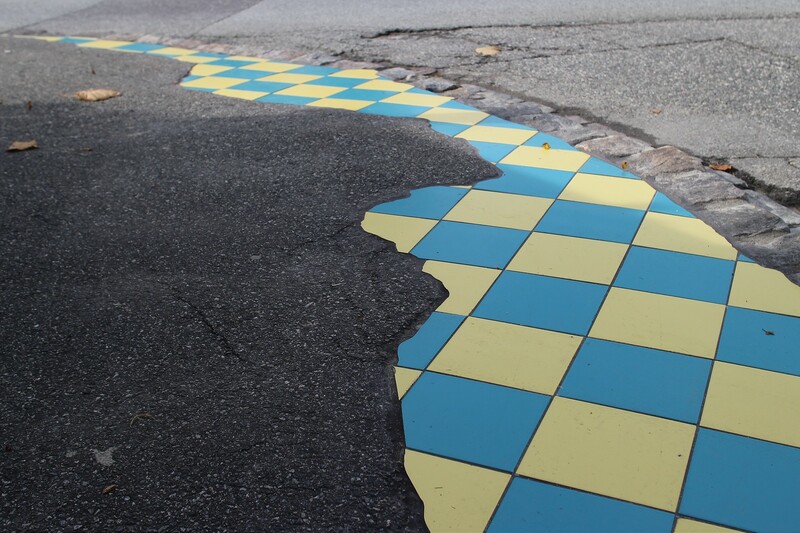 The results are works painted on the roads, in ponds, installed on benches or on the side of the building, “improved” pavement or cobblestone lots, boulder and brick walls, as well as images painted, stenciled or pasted up everywhere from the city center to residential homes. 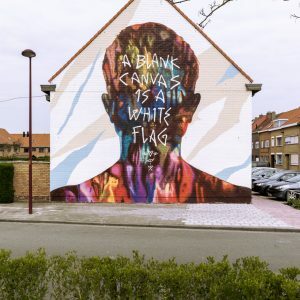 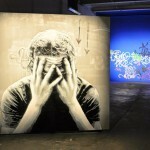 Fighting the economic, bureaucratic as well as trends set by the Street Art mainstream, Nuart once again proved its relevancy by making a daring shift in their concept and overcoming the obstacles, while once again showcasing the revolutionary spirit behind the movement they stand for. 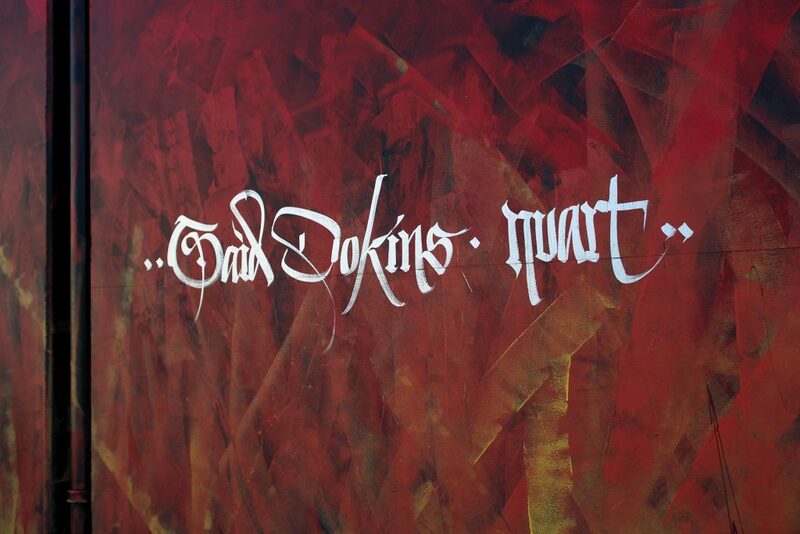 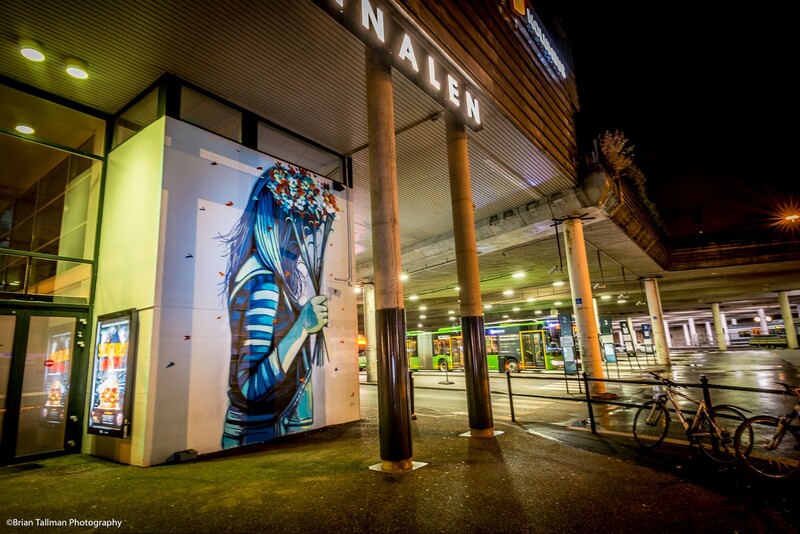 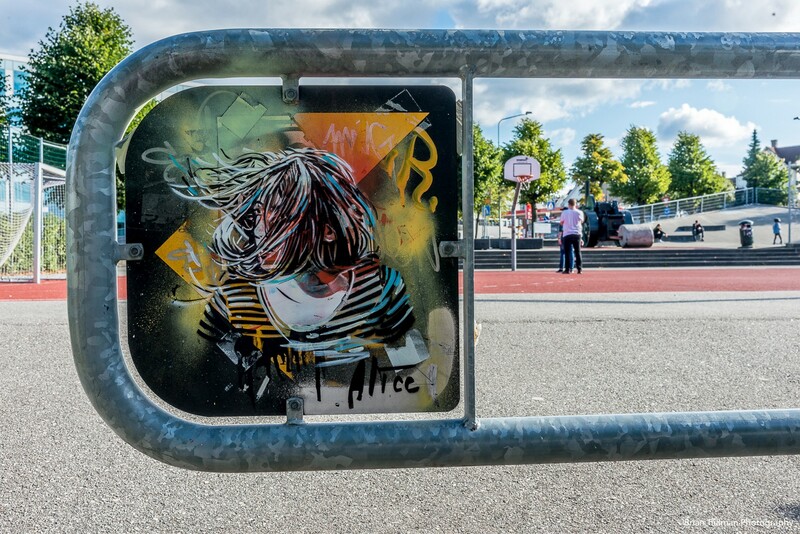 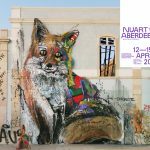 The full lineup of Nuart 2018 included AFK (NO), Alice Pasquini (IT), Carrie Reichardt (UK), Conzo & Glöbel (UK), Elki (UK), Ememem (FR), Ener Konings (NO), Fintan Magee (AU), Helen Bur (UK), Jan Vormann (FR), Jazoo Yang (KR), Máret Ánne Sara (NO),Martin Whatson (NO), Milu Correch (AR), Miss Printed (NO), Murmure (FR), Nafir (IR), Nimi & RH74 (NO), Nina Ghafari (IR/NO), Nipper (UK/NO), Octavi Serra (ES), Said Dokins (MX), Skurk (NO), Snik (UK), Tref (NO) and Vlady (IT).